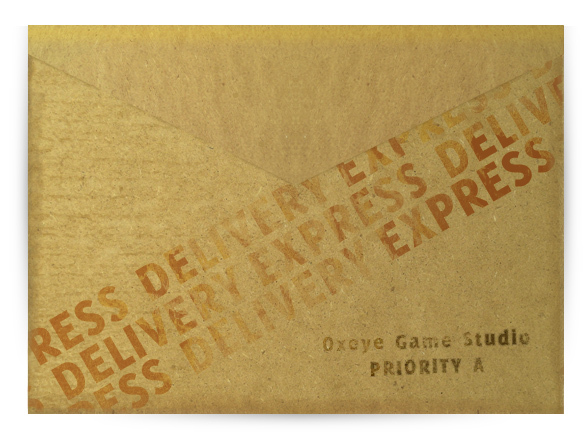 Oxeye Game Studio » Blog Archive » Postcards Have been Sent! Yay! I got LOTS of postcards today, and they are gorgeous! Hussah! I received my postcard today! Tack så mycket! I just got mine, this is soooooo cool! To be honest with you, this is definitely the coolest thing a developer has ever done in my opinion. Big thanks! I will definitely frame my post card. 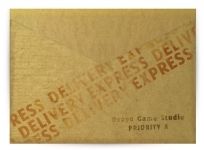 I’ve received my postcard too! The concept art is very cool. Thanks guys . Is there any special significance behind the code – ‘7gB’? Is the code in the red box at the bottom? Oh yeah, I was also wondering what that red box was. Thanks for the postcards, they where great! Thanks for the postcard. And the mysterious code in the red box is also present I’m still trying to guess how and where can I use it. First idea was wrong. Hehe yeah… I’m not gonna tell you what that code is about, except acknowledge that it IS a code/clue. One awesome postcard received today, thanks very muchly. Got mine too, sorry for not commenting earlier! I love the concept art, it’s definitely one of the prettiest cards I’ve seen/received (only challenged by a card Jackson/Jr sent me of one of his photographs). Really looking forward to what kind of game this’ll be. Also, am intrigued by the code now… I like a challenging riddle. Code I got was ye. I get a 403 forbidden, not a 404 as if I was completely wrong. Or is that the prize! a permission denied page, yay I win.